We have compiled a list of documents that need to be remembered as well as tips on how to make your big day the perfect one. · The wedding must be planned two months in advance to allow for processing of the documents. · A church wedding without a civil ceremony is not seen as legal in Seychelles and the couple must conduct a civil wedding before the religious ceremony. · If you plan on organising your own wedding you must apply to the Seychelles Civil Status Office in Victoria for the civil ceremony and the relevant church body for the religious ceremony. · You must inform the Civil Status Office of the wedding at least 11 days before the wedding date. · Couples who want to get married outside the Civil Status Office or away from the hotel property will be required to pay a fee. The fee applies to weddings held on any weekday on Mahè or the Inner Islands. 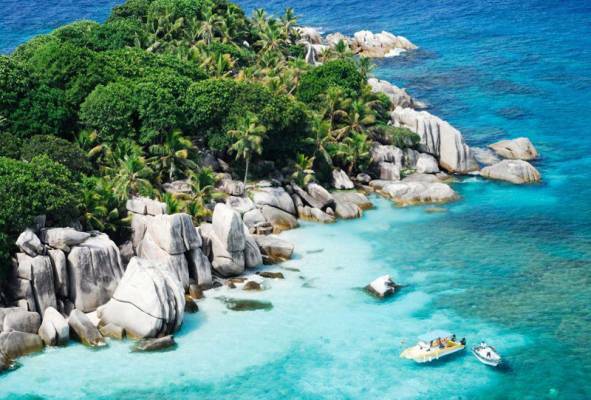 They include: Anonyme, Bird, Cerf, Cousine, Denis, Frègate, La Digue, Moyenne, North, Praslin, Round, Ste Anne and Silhouette Island. The cost of the Registrar’s traveling will be carried by the couple. · If a wedding takes place on any of the Outer Islands, the couple will pay a different fee and are also responsible for the travel cost of the Registrar. · A fee is charged for couples getting married after 17h00 or any time during weekends and public holidays. · A stamp is required to validate the marriage certificate obtained after the civil ceremony except for British Nationals. The stamp is available for SCR 140 at the Registrar’s office. o Birth certificate or certified copy. o If either party is divorced, the decree of divorce must be produced. o Legal proof if the last name has been changed. o Copies of the first two pages of the couple’s passports. o If either one of the parties is a widow or widower the death certificate of the former spouse must be produced. o Documents to show that there is no impediment or lawful hindrance to the intended marriage. · All of the documents needed must be originals or certified copies and must be translated in English or French if a translation has not been made. Most hotels and accommodation offer a service where they will take care of the documentation formalities once they have been supplied with the right documents to make your wedding day perfect. Eden Island offers holiday accommodation and rentals in luxurious Apartments, Maisons and Villas overlooking the Seychelles Islands and ocean. With the Island located close to Victoria it will make a perfect honeymoon destination. Contact Eden Island for expert advice on weddings and honeymoons and make you wedding day unforgettable.